Easy difficulty: Limited hiking mainly on paths, standing shooting. 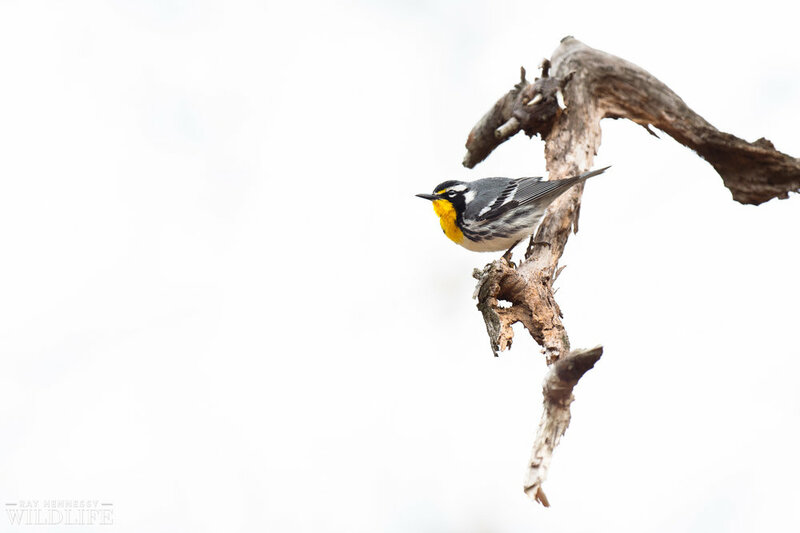 One of the more striking warblers in my opinion, the Yellow-throated Warbler is incredible to see in person. 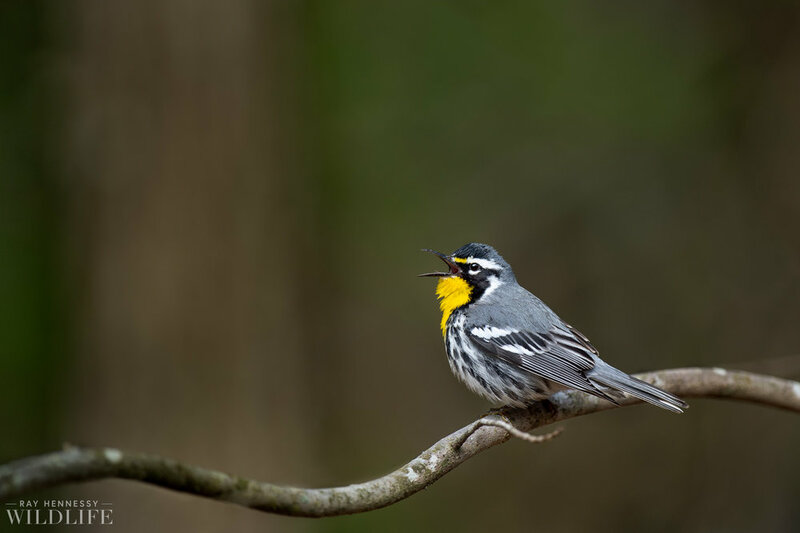 Their song is also wonderfully pretty and stands out in the forests of southern New Jersey. 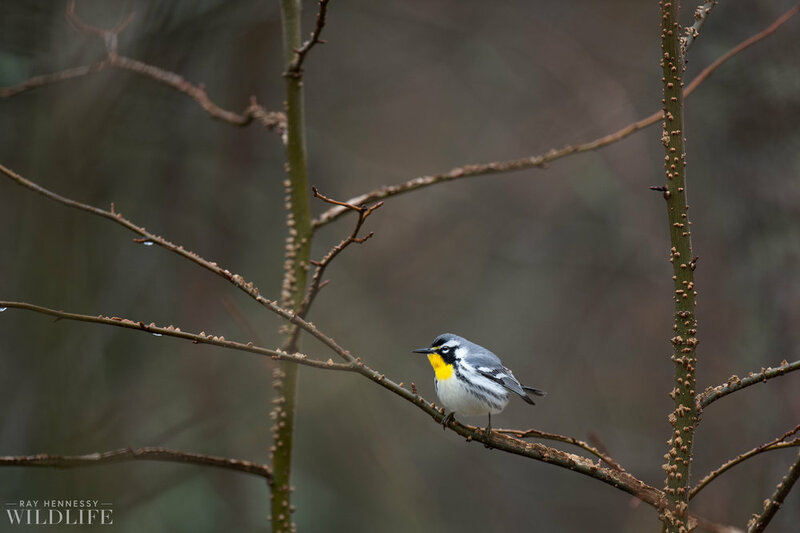 The black and white lines, slate gray back and wings and that vibrant yellow throat all come together to make one incredible looking bird. 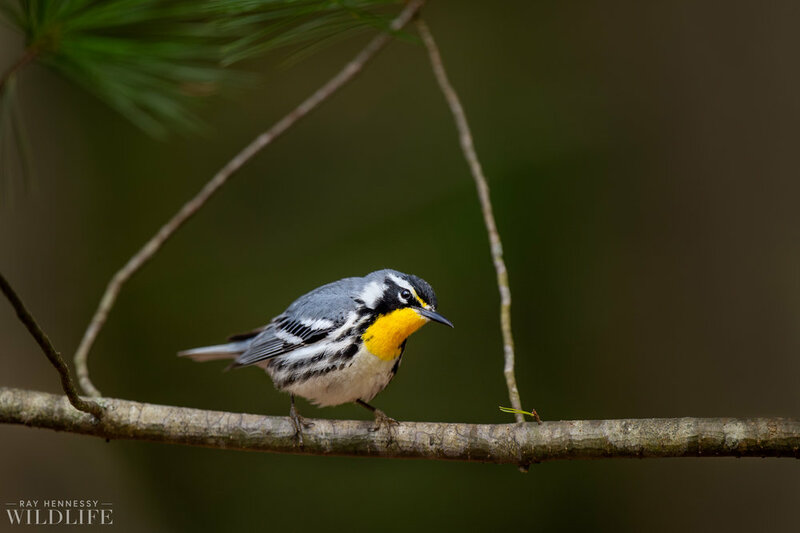 Join me to photograph this beautiful warbler in the early spring as we search for it in specific pockets in New Jersey. We will be walking along paths on level ground in southern New Jersey. All locations will be not far from the parking areas. Fast moving birds that don’t stay still for very long. Having the ability to quickly find the subject in the frame as well as acquire focus fast is helpful. Lots of seeing the birds up high in the trees and short moment when they come down to eye level for us to photograph them. Learning the calls of the species we are after so you can identify them yourself and find them in the future. Monopod or tripod unless you can hand hold your rig. I recommend a monopod for easier and faster movement. 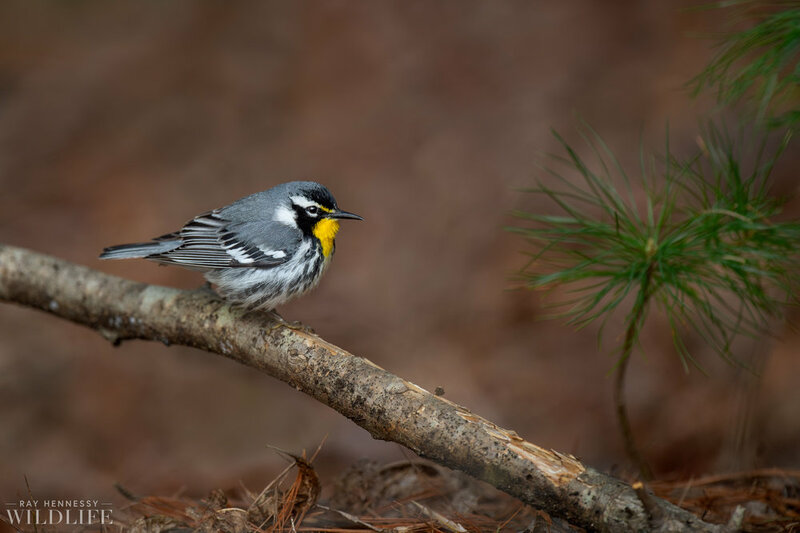 3 hours of wildlife photography instruction tailored for warbler photography in the forest. Seeking out nice perches and clean backgrounds and taking advantage of lighting. Suggestions on compositions and creative ways to photograph these birds. I will be happy to answer any questions you may have regarding camera settings or techniques.